Meditation is an important part of my life and of my art practice. I started meditating about 3 years ago and have maintained a daily practice since then, meditating for 30 minutes each morning. During this 3 years I have noticed subtle, but profound positive changes in my happiness, life and mental health. I highly believe that meditation is an essential technology we should all learn and practice to exist with more peace and happiness in our busy modern lives, which is why I have put together this little page with some resources to help you get started. Please feel free to share this page with others and If you have any questions about Meditation and mindfulness please feel free to get in touch. A general daily sense of calm and peace. I feel like I can learn much better and retain information better than I used to. Increased creativity and decreased fear around sharing my artwork. The ability to sit with difficult emotions and deal with stressful situations without resorting to distractions such as alcohol, social media, etc. [Article] Thich Nhat Hanh on the practice of mindfulness. My personal practice is very simple and is essential sitting, being aware of the breath and not allowing thoughts to carry me away. When I started out meditating I did a very dedicated month of 2 sessions of 20 minutes each which helped cement my practice into a habit. Now for practicality I do one 30 minute session in the morning, straight after my shower and morning tea. I find that doing it at the same time (e.g straight after shower) means I always do it and if I put it off till later in the day I often forget. I use an app (Insight Timer) to time my daily meditation and to track my sessions. It has a gamification feature where you gain stars for every 10 day stretches of meditation which helps keep me motivated to do it daily. It also has a wide selection of free guided meditations you can use and sometimes I will listen to one of those to mix it up. Apart from my morning breathing meditation, I also try to maintain mindfulness throughout the day, maintaining awareness of the breath as I travel through the day and noticing when I become distracted or lost in thoughts. Any moment where you are aware of your breath and of the present moment is a meditation and even a 1 minute meditation can help return you to a peaceful state. Aside from basic breathing meditation I also practice Metta (loving kindness) meditation, mixing it into my sessions, as it increases my sense of compassion and kindness towards all beings. Make it a daily habit and do it at the same time daily. Even if you can only do 5 minutes it will still have benefits. There are many ways to meditate so experiment and find the one that works for you. Don’t worry if you are having thoughts! Meditation isn’t about stopping thoughts. If a thought arises just notice that you became distracted and return to your breathing. It will feel weird/distracting/frustrating at first…your mind isn’t used to just sitting still and focussing but stick with it and your mind will eventually calm down. Give it a solid month of practice and see how you feel then. [Book] You Are Here, Discovering the magic of the present moment. by Thich Nhat Hanh. Along side my meditation practice I have also developed a deep interest in buddhist philosophy, with the knowledge I learn from it supporting and strengthening my practice. The thing I love about buddhism is that if you strip back the mythological and metaphysical elements of it, at it’s heart it is a practical and scientific approach to living a happy and peaceful life. The Buddha was not a god, he was just a man, who through deep investigation and exploration discovered a path to peace and happiness. My favourite author to read on Buddhism is the Vietnamese, Zen buddhist monk Thich Nhat Hanh. His books are easy to read and beautifully written, making buddhist concepts and practices easy to follow. You don’t have to be religious to learn from buddhism and if you are religious, buddhist philosophy and practices are compatible with your existing faith. If you are interested in reading a bit further into why meditation is beneficial and some of the underlying philosophies I’ve included some links on the right and some of my favourite books to read. [Podcast] Can Buddhist Practices Help Us Overcome The Biological Pull Of Dissatisfaction? 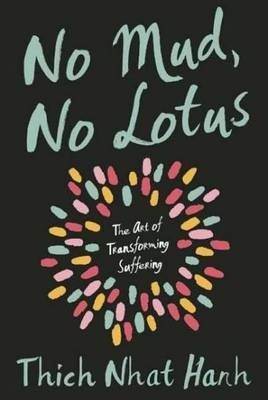 [Book] No Mud, No Lotus. The art of transforming suffering.